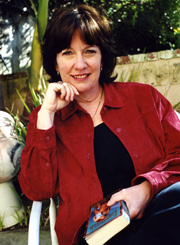 Susan Squires: Since beginning her career in 2000 with Danegeld, which won a Golden Heart for best unpublished manuscript from Romance Writers of America, Susan has published seventeen novels and three novellas in collections with Dorchester Publishing and St. Martin’s Press, as well as self-publishing four books and a novella in The Magic Series. She’s been a finalist in the Rita contest for Best Romance Novel and garnered several Reviewer’s Choice awards from Romantic Times BookReviews. Publisher’s Weekly honored Body Electric (2002) as one of the ten most influential mass-market books of 2013 and named One with the Shadows (2007) a Best Book of Year. Her work has appeared on the New York Times and USA Today Best Sellers lists. She’s known for breaking the rules of romance writing, and whatever her subject, historical period, or theme, her work always contains some element of the paranormal.